(08-03-2018, 06:10 AM)Mello Tonin Wrote: I noticed this while tinkering with the editor, and I'm just going to describe the needed change since it would apply to the game's hard code I believe. Check references to line 9, and modify the ID to be length instead of height like it shows here. Height and Depth are in the same context here although they would be opposite in measurement. (07-03-2018, 09:28 PM)Rasmus Wrote: I've checked all the posts in the thread and almost everything is fixed (except translation for the launcher). So now I have uploaded a new English translation file with the following changes / additions. - Added some translations that previously was hard coded into the game. - A credits menu has been added in the game and new translations with it. - Removed most of the keyboard translations. 4. I can see Backspace key on my keyboard named as "Backspace", so should it stay in localization? Do anyone have Backspace named on their keyboard in different language than English? EDIT: Uploaded update for Polish.xml on GitHub. - Revised the crafting room description. This is because you don't have the latest version of Dwelvers. It will be fixed with the next version you get. You mean that you want these keys in the key settings, or that they should be disabled inside the menu? I will fix them later, I have to keep them because I don't want to delete the buildings from the game just yet. The translation is added in the english.xml, when you get the newest Dwelvers version it will get translated in the game as well. I think just disabling F1-F12 keys for menu could do the job (F12 is also assigned on Steam to make screenshots BTW, but it would work even if you disable F12 for a game menu), especially that we can't even assign F1-F12 keys to be any of our shortcut, so just to not experience strange effects I described above disabling these keys from menu could work well enough, indeed. One more thing if it comes to closing game window - those in bold below - are the only that are placed in localization file, what about the rest? Will they be removed with the next version? There are also two new lines in localization file that doesn't appear in current version closing window: "-- Waiting for thread: '%s1' --" and "Cleaning up game data..."
Yeah, the closing window will be correct with the next release. OK, now I'm getting a very nice report from DwelversLanguageEditor. Uploaded changes on GitHub and removed older, outdated pull requests. Are the early access and the save incompatibility warnings hard-coded? In the latest english.xml version I added the early access warning. But you won't see it being translated in the game until the next version is released. The save incompatibility is hard-coded. Great! Thank you for the info! Yeah you can say that is a matter of perspective like all 3D objects suspended in undefined space. However, in all Math and Science classes in the US, volume is determined by this formula: V=L x W x H. We do not use depth to describe length, rather depth = how deep a thing is. That's why I said height and depth are essentially the same in this context, they just measure slightly different because of the direction the measurement is taken. So in a 10 x 10 x 10 area, if we have an object with a height of 7, it would inversely have a depth of 3. This is because to measure the height, we would start from the bottom versus depth which would be measured from the top. I would like to concur with the gentleman above me. Map dimensions should be expressed in Length (X axis) x Width (Y axis) x Height (Z axis). I managed to shrug off most of my work and resumed translation yesterday. I adapted my translation to the latest English version and there is quite a progress (about two thirds of lines are done). But there seems to be a problem. I still can't understand how this forum works in terms of image upload and my last attempt cost me the previous version of this post, so I'll just use imgur instead. Look at the first one (the second one is mostly for reference). It seems that this string (yellow border) feeds from line 255, at least I can't find this wording anywhere else in my translation file. But that's just wrong. Line 255, like the others in the same namespace, describes current activity of a creature (so it's an active voice verb), while this string basically describes materials that are needed *for* crafting or the crafting process itself (so it's either a passive voice verb or even a noun). And at least in Russian there is a clear margin before these two concepts. 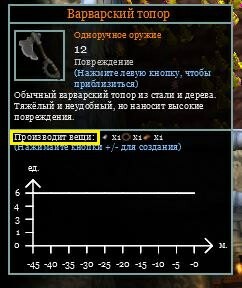 For instance, my line 255 can be roughly translated back as "it is crafting items (now)" - Russian doesn't look favorably on the use of *crafting* as a process without an object and tenses have to be defined, but that doesn't matter much here. What matters is that I can't use the same wording for these two processes. I suggest to not only add a separate line for this string, but also rephrase it to "Materials" or something like this. Also, maybe it would be reasonable to switch damage counter and the word "Damage" itself. This order just seems weird to me. But that's not nearly as important as my first point. I must agree about that "Crafting" word. I haven't translated it directly to my language, but instead treated it like "Needs", because what game shows are resources needed to be placed on certain construction blueprint to be built. BTW: Be sure that you're linking to an image directly. It's source link should end with filename and it's extension like .jpg or .png or .gif etc. What you've linked above are links to gallery/preview of that picture not stricte to image. (10-03-2018, 06:22 PM)Sebt Wrote: I haven't translated it directly to my language, but instead treated it like "Needs", because what game shows are resources needed to be placed on certain construction blueprint to be built. Exactly. But the problem isn't that it called ambiguously, that I could've fixed on my own in my translation (though it was worth mentioning). The problem is this word is taken from the line that describes a *process*, not the *requirements for a process*. 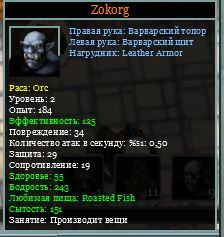 Of course I can translate it as 'Needs', 'Materials' and anything else I think fit, but then my orcs would state that they are, indeed, Needs or Materials, when they are going to produce weapons. And I highly doubt that any reasonably inflected language can manage to use the same wording for both a process and its conditions. Or there is some strange bug on my side. 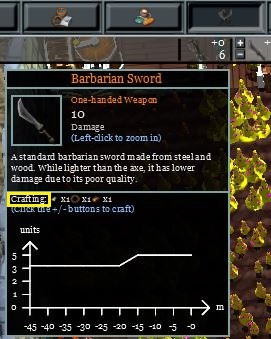 But I can attest that this line and line that shows an activity of crafting orcs is the same unique string. Maybe they got mixed somehow, I don't know. At least it makes sense. This string would be right at home both in materials for building and crafting. (10-03-2018, 06:22 PM)Sebt Wrote: BTW: Be sure that you're linking to an image directly. It's source link should end with filename and it's extension like .jpg or .png or .gif etc. What you've linked above are links to gallery/preview of that picture not stricte to image. Thanks! Updated my post accordingly. Current time: 19-04-2019, 02:48 AM Powered By MyBB, © 2002-2019 MyBB Group.